The weather is normally sunny but crisp. The run begins at 8:00 a.m. at Colbert Elementary, Colbert, WA. 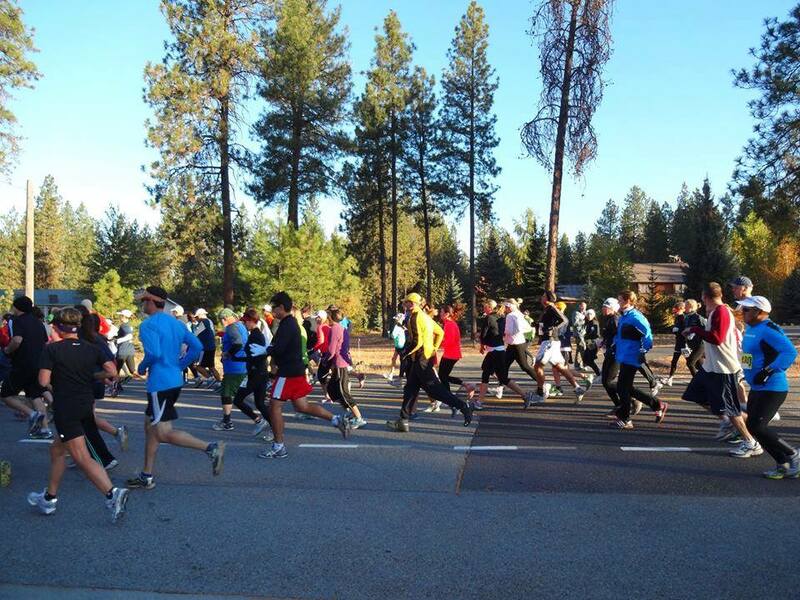 There will be an early start at 7:00 a.m. for those who expect to finish in 2.5 hours or over. For safety reasons please do not begin before the official early start. Directions to the school: Go north on Division, bearing right at the "Y" onto Newport Highway (Highway 2). Drive 5.8 miles and turn right onto Green Bluff Road, continue across the train tracks, then 1/10 mile to the school. Awards to the top three male and female finishers in each division: Under 20, 20-29, 30-39, 40-49. 50-59, 60-69, 70-79, and 80+. Early starters are not eligible for awards. Wheelchairs only as hand cycles are not allowed in BRRC races. All entry fees are non-refundable.